Note: Handmade Kepi cap made from an original civil war kepi. Thick leather visor, leather strap and leather sweatband brass buttons and buckle. 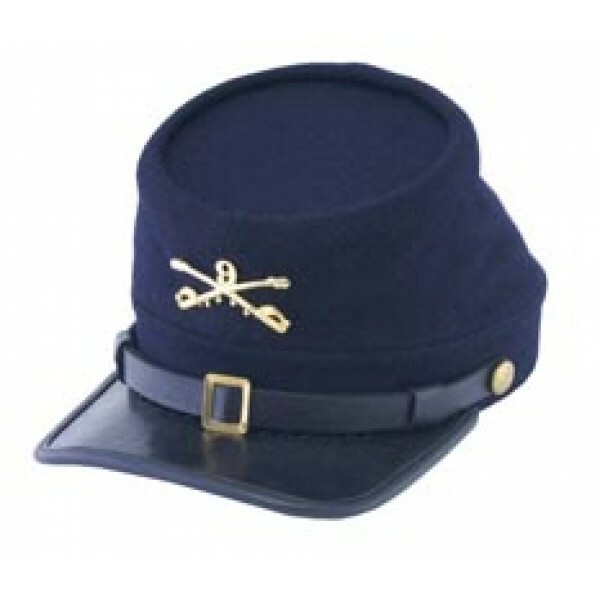 Price includes 9th cavalry sabers insignias.